Here’s an interesting postcard that came into my possession only this week. I often talk about how trenches in Flanders had to be built above ground due to the high water table, using whatever came to hand, and this photograph of the first trench at Ypres (and why not? ), is as good an example as any I’ve seen. 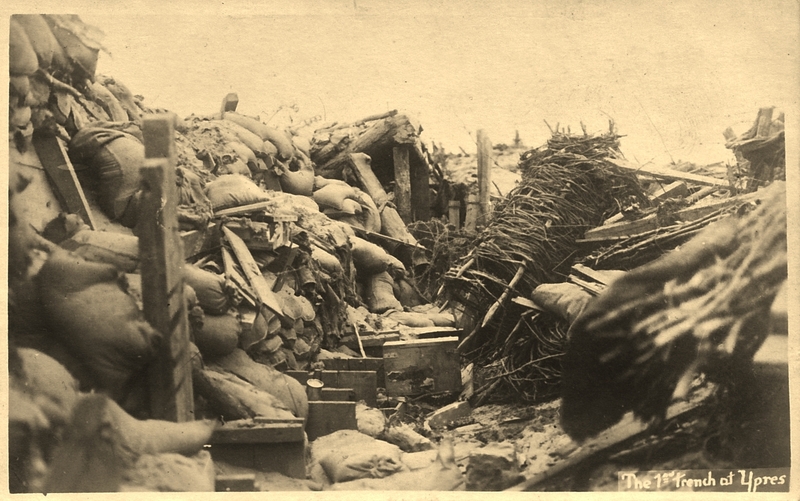 This entry was posted in Postcards, Ypres (Ieper). Bookmark the permalink. Your picture speaks a thousand words! No Occupational Health and Safety back then. It is impossible to truly appreciate what our soldiers went through. Amazing photo, I think. Cost me a good few quid! !